It always pays to be cautious and that is why it is in good sense to equip your car tool box with a tire inflator and have it on you at all times. The benefit of this goes beyond the obvious reason of it being more comfortable: with good tire inflators help you avoid unnecessary expenses and delays that can arise from a burst tire. Even though owning a tire inflator is not a guarantee against foreseeable problems, it would still be wise to own one of the best tire inflators soon to be recommended. For tire inflators, some are built to withstand air pressure of varying degrees while some cannot handle more than a set limit. This is then incorporated into the build of the tire inflator and most times written on its package. Before choosing a tire inflator, the craftsmanship should be considered before anything else. Due to the fact that road emergencies are things that cannot be easily predicted, having a tool box that contains a majority of the tools that would most likely be required in such situations is important. 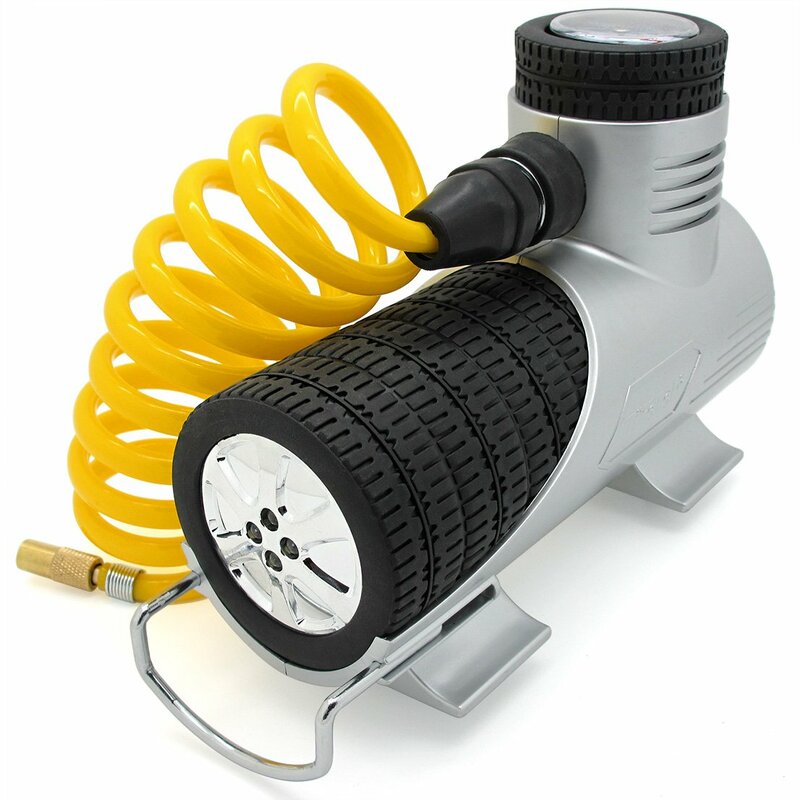 A tire inflator is one of such tools as you can never predict when a car tire requires air. In that case, a tire inflator that can be easily transported from one place to another in the booth or tool box of a car should be gotten for ease of movement. The tire size: different models of tire inflators are designed to fit tires of varying sizes. Some can cover 31-inch tires while others cannot handle 37-inch tires. Before making a purchase, the exact tire size should be estimated and verified against the tire inflator being chosen before making a purchase. The duty cycle: this refers to the maximum continuous cycle time of the tire inflator being intended for purchase. A tire inflator cannot be blasted on for a long period of time without there being problems in the air being compressed. Some inflators can only be used for a maximum of 5 minutes before they require cooling off for about 6-7 minutes. The best ones out there come with automatic pressure regulation systems and do not require cooling off after being put to use for a period of time. The shut off: during the process of inflation of the tires, some tire inflators need to be monitored so as to prevent over inflation when in use while others come with automatic shutoffs that end the process of tire inflation when the desired tire pressure has been met. The presence of the automatic shut off allows the user to pre-select the desired tire pressure and hence eliminates the need for constant monitoring. Before using a tire inflator, there are certain things that must be done and pre-set conditions that need to be met. First and foremost, the fact that you have a flat tire or the pressure of a particular tire appears lower than others does not automatically call for the use of an inflator. Rather, when a scenario like this occurs, what needs to be done is to get a tire pressure gauge and check your pressure when the tires are cool as reading them when warm gives a false result. Remove the screw-on cap from the tire valve and attach the gauge to get a reading for all tires. It is standard for the recommended pressure of a car tire to be written on its rubber, the glove compartment of the car and owner’s manual therefore. The result gotten from the test should be compared to the recommended pressure to determine if a tire inflator need be used. It is important to note that sometimes, the maximum pressure does not equate the best pressure and might require using instincts or one’s own perception to determine the right pressure for the tires but this is just in some cases and not a major problem. The best tire inflator for your money with a maximum working pressure of 12 volts. When it comes to what the professional mechanics and auto repair shops use for tire- inflation, this comes close or is even better than what you would find in some of them. It can easily reach every wheel on your car due to the fact that the air compressor cables are 9 feet long and the air hose 12 feet. It possesses an LED power indicator that lets its user know if the cables are correctly placed. When it comes to the noise level, the sound is relatively, low thereby, earning it the tag of “the quietest tire inflator on the market”. If used for more than 5 minutes, it is likely to overheat. The packaging comes with the lack of a kit case for easy mobility. One of the most highly recommended tire inflator on the market at the present time. Its features can be easily operated without referencing a manual. It comes with rubber with rubber sleeves to make sure the handle lasts for a long period of time as well as provide a good grip during use. It comes with a digital pressure gauge that gives a reading of tire pressure. It works well with nitrogen systems. The product has a simplified battery installation. The packaging comes with a rubber cover for protection when the tire inflator is not in use. It comes with an LCD that is backlit and easy to read both during day time and night time. Time consuming when installing the battery into the unit. The rubber gasket around the build-up requires a tighter fitting. The actual reading cannot be done using the tire gauge while inflating and it displays erratic numbers while deflating. This tire inflator gives good value for money for both the budget conscious and those willing to splurge on something to ensure road emergency readiness. 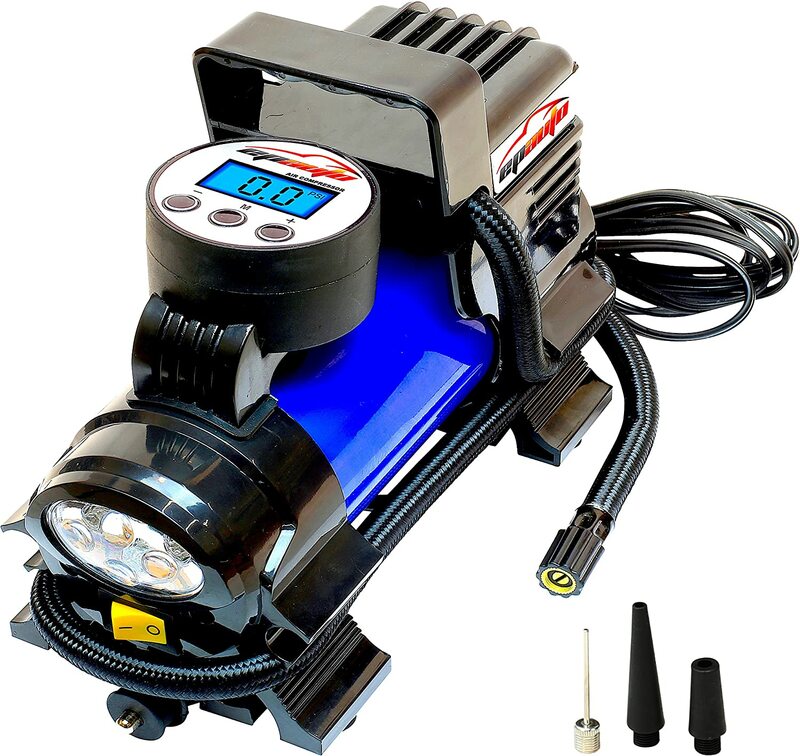 The TireTek comes with a 12V 140W Air Compressor 40LPM at an easily affordable price. Well-built and very compact when put to use as it does not allow for vibrations to regulate its movement. Its design is one known for its compatibility and portability. It is considered to be amongst the quieter tire inflators due to its inbuilt noise eliminating technology. It takes within 3 minutes to fully inflate the tire of an average car. The length of the cord (10ft) makes it difficult for the tire inflator to access all areas where the car tires are located. The plug adaptor to the 12 volt connection has a very loose connection in the car and might cause interruptions during its use. Air leaks occur when connecting the tube to the valve regardless of whether the fitting was right. Has a weak compressor and most times does not go above the 30PSI. It comes with a major flaw in the design with the display panel being far from the body. Easy to use as the microprocessors are built-in to monitor the pressure and put a stop to the pressure being applied after reaching the pre-set limit. The task of inflation is not time consuming as it takes the span of 4 minutes to inflate the tires of a mini van. Its usage is highly versatile as it covers not only cars and trucks but also bicycles and motorcycles. The hose is 12ft long, thereby making it easy to access all areas of the car without having to move the whole tire inflator. Needs to be held down while in use due to bodily vibrations. Cannot be effectively used in the dark due to its LED settings not allowing for full flashlight glow. The AC Adapter has to be acquired separately and does not come as a package with the tire inflator. Powered by a 12v battery with a microprocessor that monitors pressure this is one of the best tire inflators on the market. It is made up of durable materials such as high impact plastics, reinforced hose and rubber feet for stability. Very convenient as it can be plugged directly into the cigarette lighter socket of any vehicle to power it up. It is lightweight and does not consume a large amount of space with its 3.8 pounds- It is very quiet while in operation. The length of the cord is a bit short at 10ft and might require constant adjustments for it to access all areas of the car. Known for having operations problems when inflating larger tires of trucks. Cannot be used for PSI above 45. 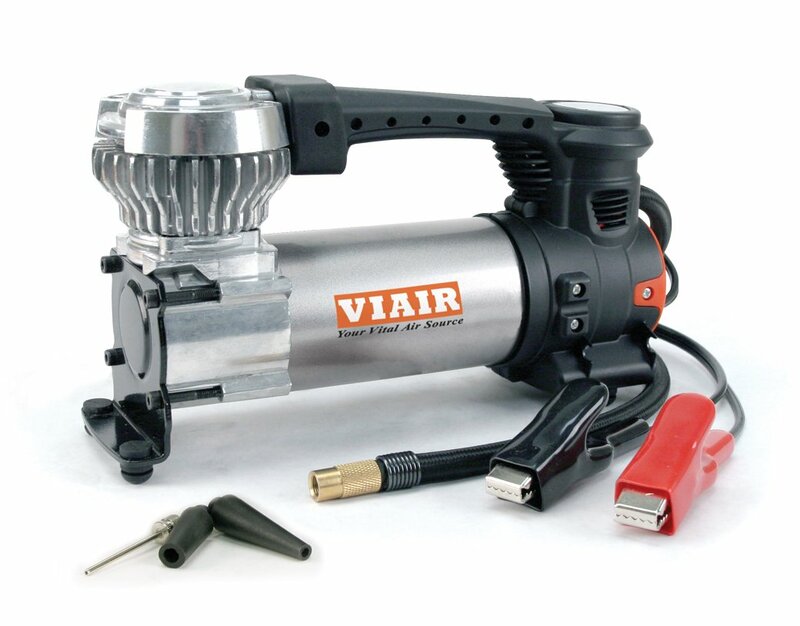 From the above, there can be only one tire inflator that trumps the others and that is the Viair 00088 88P Portable Air Compressor this is not only due to the fact that its pros outweigh its cons but also that its benefits have more credibility. 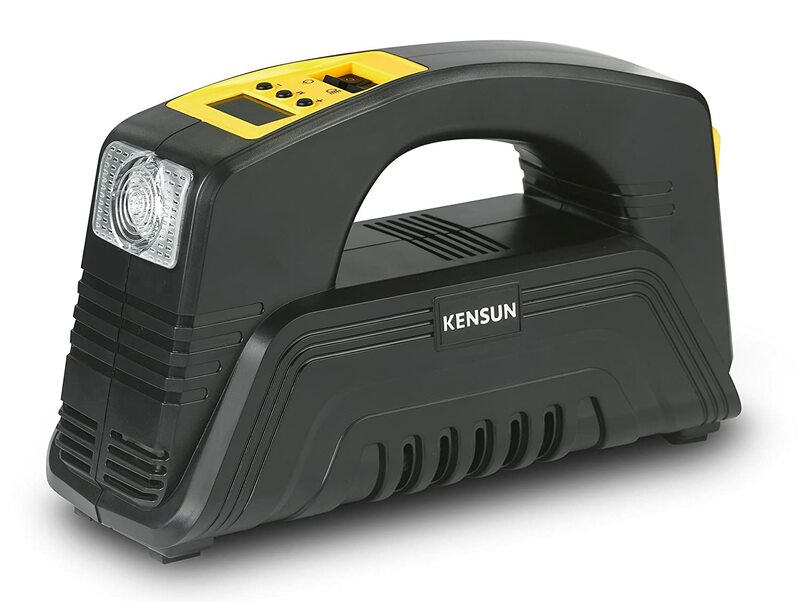 When compared to the Kensun AC Portable Air Compressor Tire Inflator, the display is much more visible and easy to read. It is better than the TireTek Compact-Pro Portable Tire Inflator Pump due to the fact that it is more effective in cancelling out sounds when it is being put to use. Unlike the P.I. 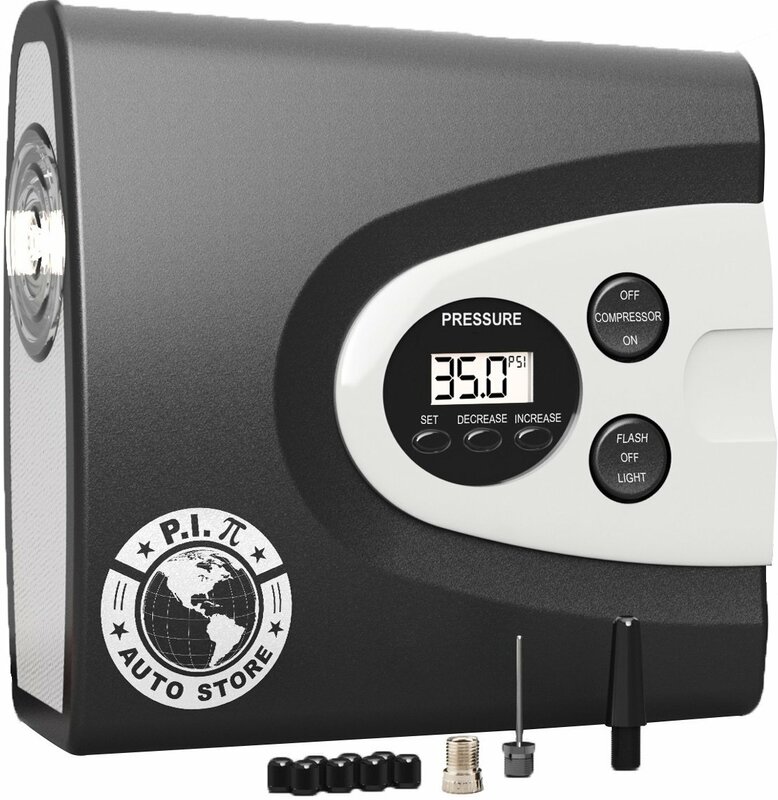 Auto Store Premium Digital Tire Inflator, the Viair 00088 88P Portable Air Compressor comes with an AC Adapter, thereby cancelling out additional expenses to acquire any. Finally, in comparison to EPAuto 12V 120W Portable Air Compressor Pump, it can go above the PSI of 45. The reviews above are just our opinions after testing the effectiveness and efficiency of the products before coming up with a short list that is sure to help you make a decision in the future. If you find our reviews helpful or you have friends and family members in need of our advice do not hesitate to get back to us.